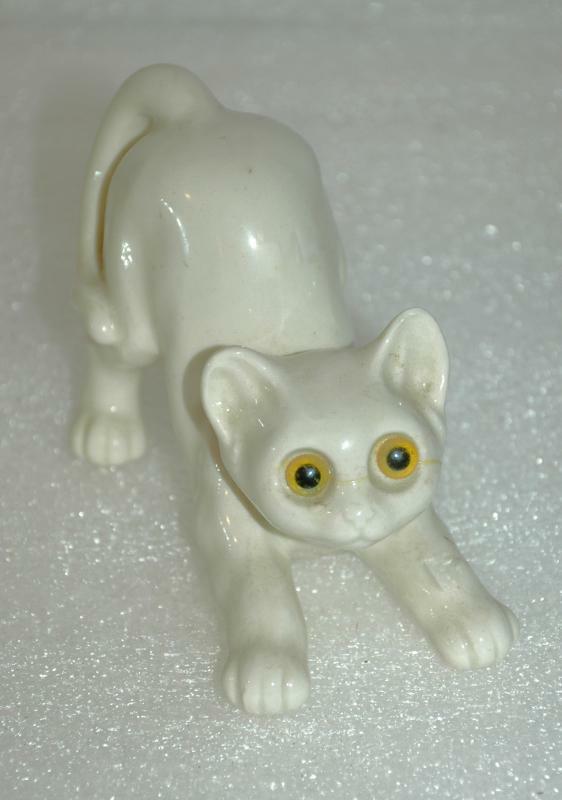 Quon-Quon Japan Cat Ceramic Cat with Glass Eyes. 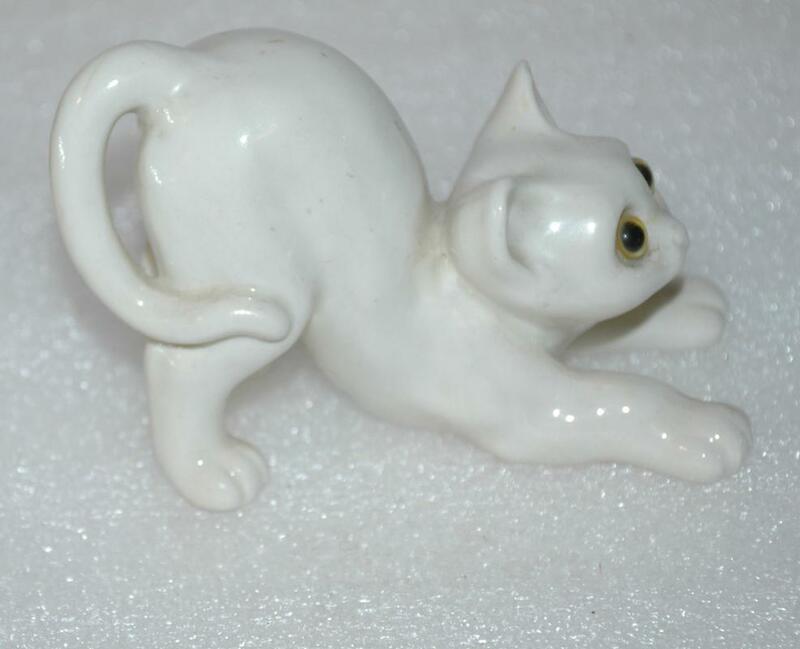 It is 4" wide x 2.75" tall. 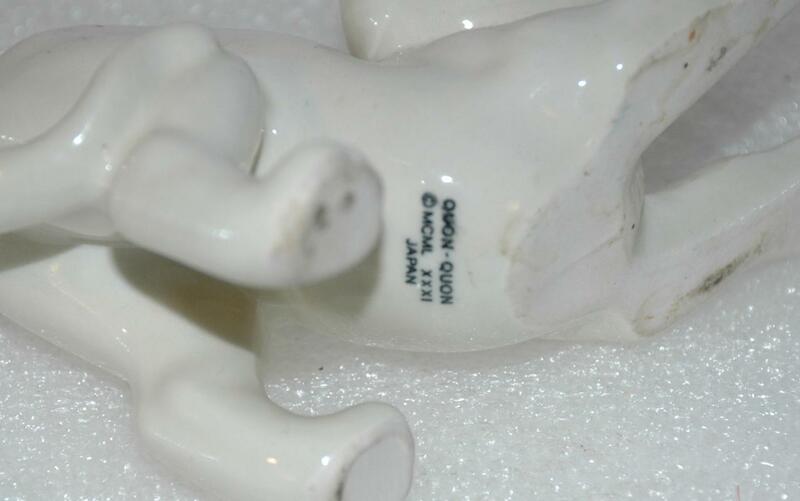 The condition is good but there is a line of glue that has dripped and struck on the left side of face from where the eye was glued in. I am unable to pick it off with a fingernail. And it is a bit dusty from being in storage. 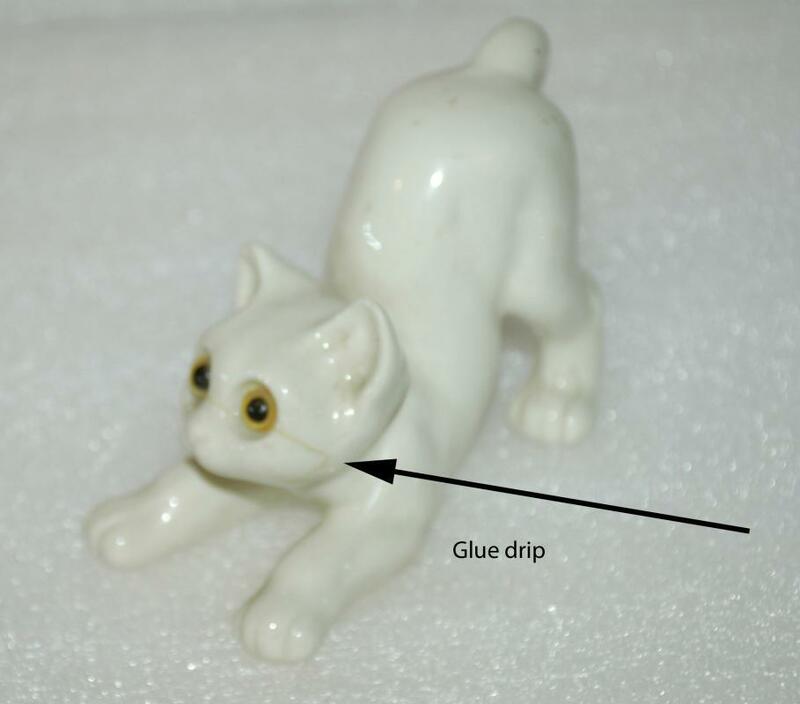 Items Similar To "Quon-Quon Japan Cat Ceramic Cat with Glass Eyes"